Be Safe Direct are a long-term client of ExtraDigital's. Over the years we have provided a range of Design & Development and marketing services that have seen their business thrive. Be Safe Direct had started to notice some issues stemming from the old version of Magento that their previous site was built upon. With the introduction of Magento 2, the range of improved features it offered and the threat of Magento 1 becoming un-supported, it was decided that the time has come to upgrade. “We needed a website that was simple and easy to use, yet engaging, modern and sharp in its presentation. Extra digital appeared to be the perfect solution and they didn’t let us down. They listened attentively to our requirements and delivered exactly what was needed to our budget and time requirements. 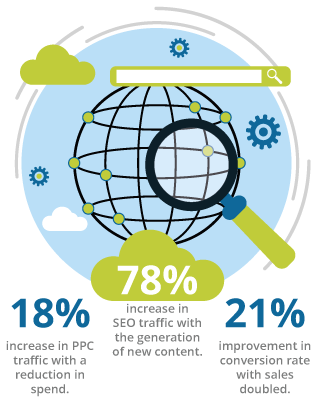 ExtraDigital were commissioned to the migration and development of the new Magento 2 website. 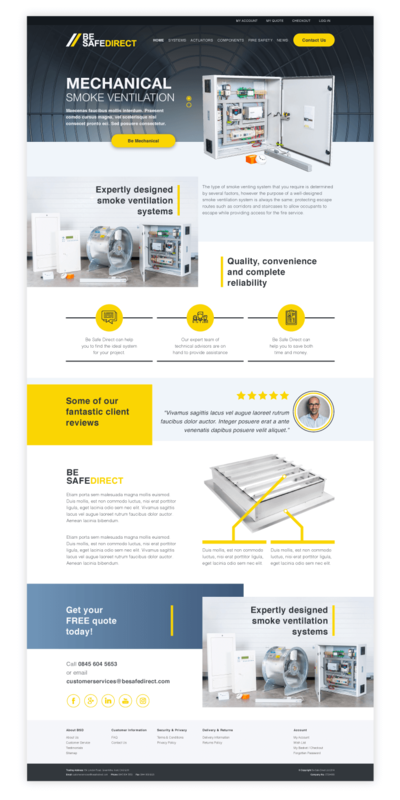 We offered an improved eCommerce platform and ensured that Be Safe Direct could smoothly resume generating sales from their existing product range and customers, once the site was live. Prior to the development, ExtraDigital provided a new bespoke web design tailored around their clientele, with an increased focus on the user journey. 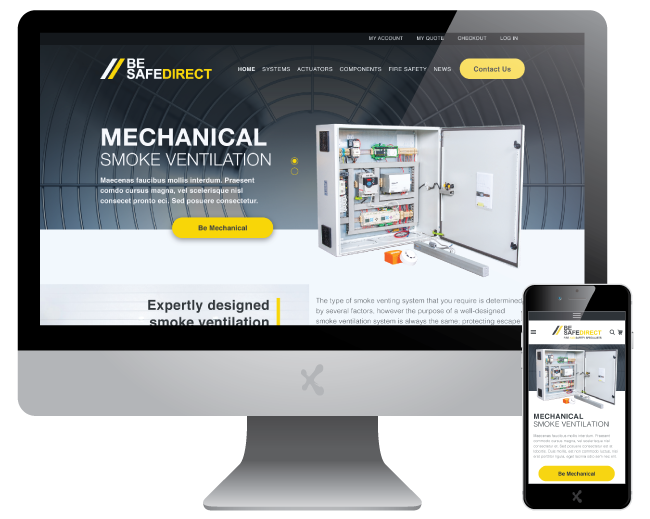 The new design helps establish and elevate the brand, crowning Be Safe Direct as a vital player in the Fire Safety Systems market.